Phone-maker Blackberry is to stop operating in Pakistan at the end of 2015 because of government requests to monitor customer data. The Pakistani government wanted to be able to monitor every message and email sent via its phones, it said. In a blogpost, it said it had decided to "exit the market altogether" over the row. It said Pakistan's demand was not to do with public safety but a request for "unfettered access". In July, Pakistan's Telecommunications Authority told Blackberry the servers underpinning its messaging business would no longer be allowed to operate in the country, citing "security reasons". Marty Beard, chief operating officer at Blackberry, said the "truth" of the matter was Pakistan had wanted to look at all the traffic passing across its messaging servers but the phone company would not "comply with that sort of directive". "Remaining in Pakistan would have meant forfeiting our commitment to protect our users' privacy. That is a compromise we are not willing to make," wrote Mr Beard. This led Pakistan to tell Blackberry its servers could no longer operate in the country. Mr Beard said Blackberry did not support "backdoors" that would grant open access to customers' information and had never complied with such a request anywhere in the world. "While we recognise the need to cooperate with lawful government investigative requests of criminal activity, we have never permitted wholesale access to our servers," he said. Mr Beard said the company had regrets over leaving Pakistan because it was an "important market". 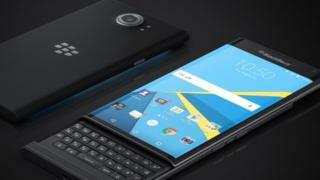 Initially, Blackberry said it would wind up its operations at the end of November. However, the exit date has now been moved to 30 December as the government shutdown deadline has been extended until that date. Industry figures gathered by analyst company IDC suggest that, in early 2015, Blackberry had a 0.5% share of the global smartphone market. In 2014, Blackberry shipped about 5.8 million handsets - 70% less than in 2013. Blackberry Priv: The final phone in the coffin? Microsoft and Nokia - a marriage made in hell?